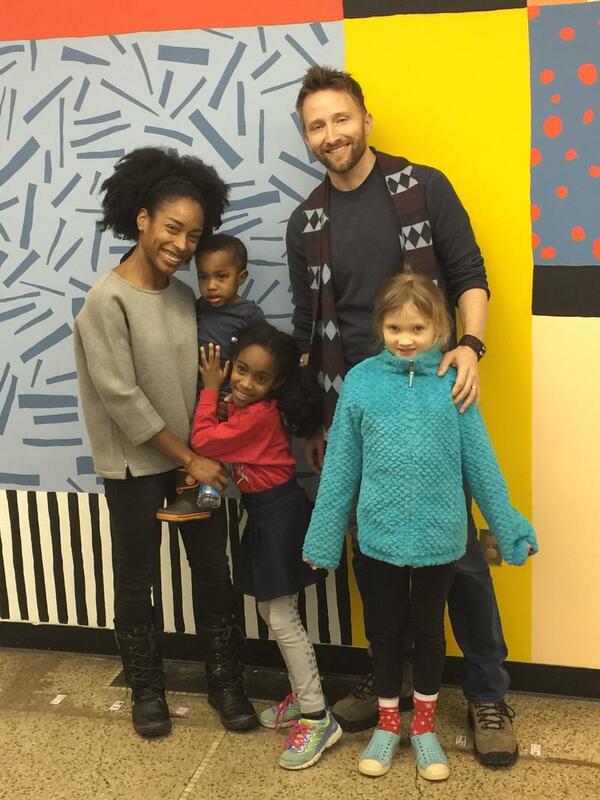 New Detroit charter school gets creative by curating "intentional diversity"
When we talk about segregated schools, we need to look no further than Detroit. Census figures from the Michigan Department of Education tell us Detroit is a city where more than 82% of its students are African-American, just 2% are white and only 0.24% are multi-racial. A new charter school on Detroit's east side, in the Indian Village neighborhood, is working hard to change that. Detroit Prep is a free public charter school authorized by Grand Valley State University. Right now, it's got kindergarten and first grade students. Its founders were determined that Detroit Prep would be the city's first intentionally diverse charter school. So they set out by casting a wide net in recruiting students and in offering strong academics. Do Michigan's charter school rules need big changes, or just more tweaks? 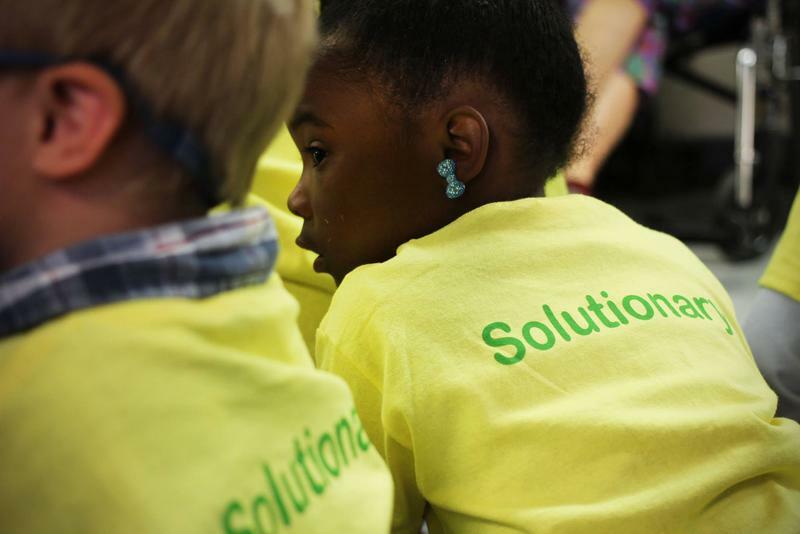 What will it take to fix Michigan's charter school laws? The rules governing charter schools in Michigan were first put into place a little over two decades ago. Since then, there have been revisions – the biggest of which happened a few years ago when the state lifted the cap on the number of charter schools that can open in Michigan. But after the Detroit Free Press published a blistering investigation into the state's charter schools, the law may be headed for more revisions. And some are starting to make the case for a complete overhaul – not just of charters, but of Michigan's entire education system. "Let's start over," says Dan Varner, head of Excellent Schools Detroit, and a member of the state Board of Education. "I think it’s time for a complete reset of the way we deliver public education in Michigan." This text is adapted from a segment of a State of Opportunity radio documentary produced by Lindsey Smith and Dustin Dwyer. To hear the full documentary, click the player above. To read more about how Muskegon Heights schools made history by converting to a charter district, go here. Let's talk about one statewide trend that’s played a significant role in the events of Muskegon Heights schools: private companies that run public charter schools. A recent Detroit Free Press investigation sparked a statewide conversation about why these management companies don’t have to disclose their finances to their charter school boards. The Freep found numerous examples where that lack of disclosure and oversight led to some shady deals. Gary Miron from Western Michigan University studies charter schools, and has a reputation as a critic of Michigan’s current charter school laws. Miron says that original idea for charter schools was to have small, locally controlled, locally operated schools that would be free to pursue new ways of educating kids. But that didn’t happen in Michigan. Today, Michigan has more public charter schools being operated by for-profit companies than any other state in the country. 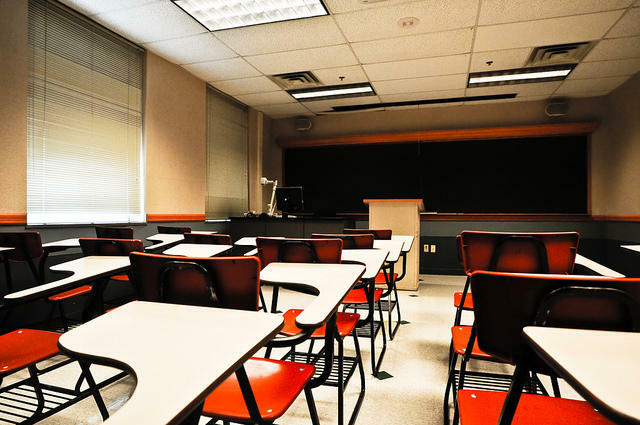 Miron published a study last year, which found that for-profit companies run 79% of Michigan’s charters, twice the share of the next closest state. At least a half-dozen states ban for-profit charter management all together. What I'm about to share with you is MUST-READ material. It's a multi-part series on charter schools from the folks at the Detroit Free Press. To quote my colleague, Jack Lessenberry, "These are stories that everyone in this state who has kids, knows kids, or has any interest in our future should read." Free Press reporters spent a year investigating Michigan's charter schools and are rolling out their findings all this week. According to the Freep, more than 140,000 Michigan children are enrolled in charter schools and, based on the data, we are failing most of these kids. That's because, in part, the state has some of the weakest laws regulating charters, so schools stay open long after they've proven they just can't get the job done in terms of improving student achievement. The Detroit Free Press investigative series, State of Charter Schools, runs all this week. Do yourself a favor and check it out. What if something other than jobs could rebuild Detroit? What if the purpose of education was to help children reach their highest human potential? What if we had a conversation about the meaning of service to our community? These are just a few of the many questions being raised at a new charter school in Detroit. It’s called the James and Grace Lee Boggs School. They opened their doors this week. 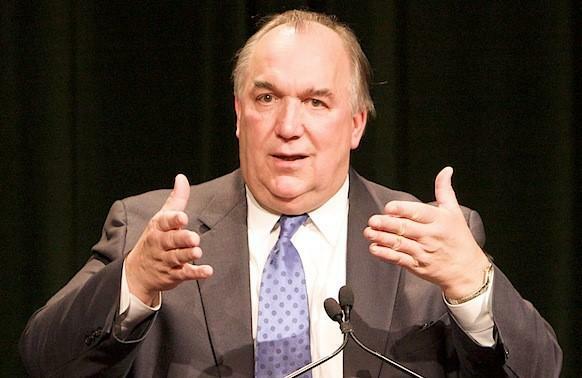 If you’re like me and you know just a little bit about the history of education in Michigan, you might already know that a lot of what we see in our schools can be traced back to reforms made in the 1990s under then-governor John Engler. But what you may not know is that these education policies can actually be traced to events that happened in a single 24-hour period in the summer of 1993. The story of how it happened is an example of how change – even momentous, tectonic change that affects the lives of hundreds of thousands of people – can seem totally impossible right up until the moment it becomes inevitable. This is a must read article for anyone who thinks turning around a troubled school district is as easy as throwing $100 million at the problem. 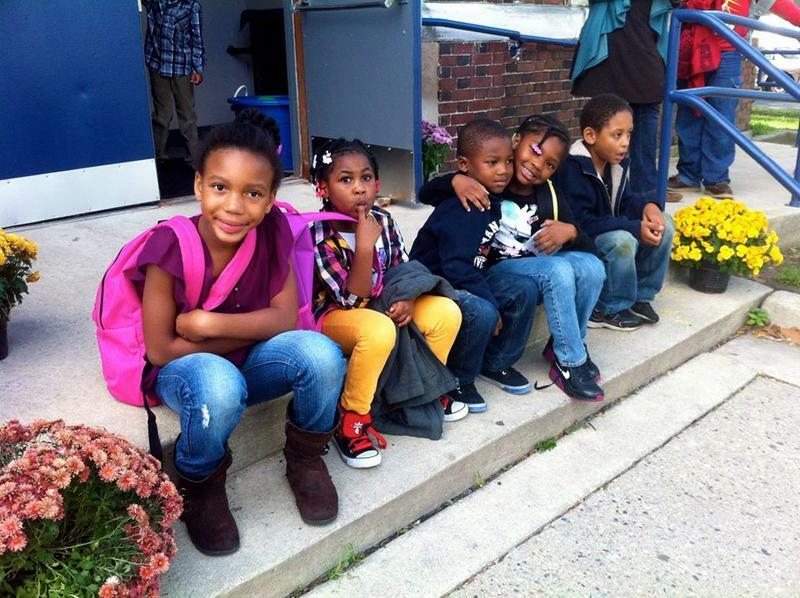 Reporter Dale Russakoff walks us through the reform efforts happening in New Jersey's Newark public schools, a district with a "history of abandonment and failed promises." The New Yorker article highlights how difficult it is to fix a failing school system without addressing the even more systemic problems of poverty. Jack Lessenberry notes in Week in Michigan Politics Detroit's infrastructure is failing its youngest citizens. Frequent power outages to schools this winter means students have lost 160 days. Power returned Wednesday in time for the day when students in attendance count toward federal funds. As Kate Wells said about last autumn's count day, "The more students a school has in attendance on count day, the more money they get from the state." But the outages have provided a distraction from a continuing issue with DPS count days: they can be overrun with excessive marketing. And now, according to commentary in this week's Bridge Magazine, predatory enrollment campaigns are an epidemic. Marketing and student poaching are two sides of the same coin to lure students to poorly rated schools in a crowded charter marketplace. Christopher Gaston is usually the first kid to arrive at school every morning. And he’s almost always the last one to leave at night. In fact, “It’s tough to get Christopher to leave the building everyday,” says Marisol Teachworth, the Boggs School’s program director and co-founder. Christopher has volunteered for every possible after school opportunity, including, but not limited to African drumming, creative writing club and Scrabble Club.